The windswept shore line of beautiful Sennen Cove in Cornwall offers both an inspiring outlook – and a particular set of challenges for building to contemporary codes. On a rugged rise overlooking the bay, a developer has completely renovated a 19th Century two-storey stone built cottage, while complementing it with a sympathetic addition to create one large, luxury, four-bedroom house with pool and terrace. The renewed property is designed to the highest standards, and so concerns such as interior climate comfort were as much a consideration as was protecting the structure from the Cornish coastal weather. 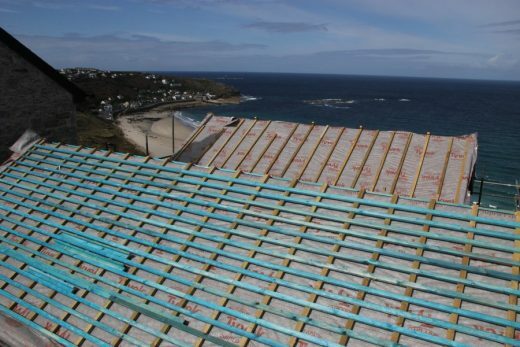 For the construction of the pitched, slated roofs, contractors Marnick Roofing Ltd of Falmouth chose to rely on the company’s favoured underlay material: the advanced breather membrane DuPont™ Tyvek® Supro Plus. Long established as a proven performer in terms of water-shedding, moisture management, airtightness and enhanced thermal efficiency, DuPont™ Tyvek® also offers unrestricted compliance with BS5534:2014 for all wind zones and at all altitudes. Considering the exposed location of the property, this wind-uplift resistance together with trouble-free installation, made DuPont™ Tyvek® a wise investment for a development designed to perform for the long term. 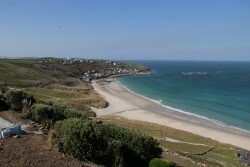 DuPont™ Tyvek® Supro, which offers unrestricted BS5534 compliance, is the favoured choice of Marnick Roofing Ltd and has been chosen for a development project in beautiful, windswept Sennen Cove. Photo Bradley Cameron for DuPont™ Tyvek® all rights reserved. 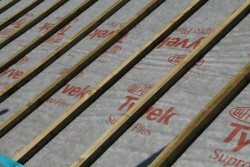 DuPont™ Tyvek® is unique in the market because of its high-quality single layer construction which is naturally vapour open but also wind and water-tight. This is due to its composition of millions of micro fibres bonded together to make a “maze” that’s impermeable to air and moisture but which allows water vapour to pass through its natural pores. In terms of wind-uplift resistance, all three BBA approved roofing underlays in the group: DuPont™ Tyvek® Supro, DuPont™ Tyvek® Supro Plus (with integral tape) and DuPont™ Tyvek® Enercor roof offer unrestricted application when tested in accordance with BS5534:2014 – and with no counter battens required in any zone. This allows contractors to be confident that they in are full compliance, not only with the code, but with all the weathering and thermal performance expectations of an advanced breather membrane. 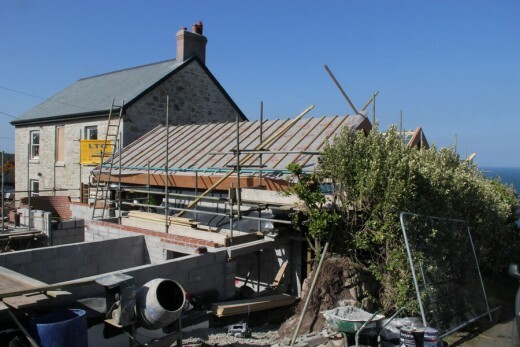 DuPont™ Tyvek® Supro, which offers unrestricted BS5534 compliance, is the favoured choice of Marnick Roofing Ltd and has been chosen for a renovation project in Cornwall’s beautiful, windswept Sennen Cove. Photos Bradley Cameron for DuPont™ Tyvek® all rights reserved. The main products and brands managed by DuPont Building Innovations are DuPont™ Corian® (www.corian.com), DuPont™ Tyvek® and DuPont™ AirGuard® (www.construction.tyvek.com), DuPont™ Energain® (www.energain.co.uk), DuPont™ Typar® (www.typargeo.com) and DuPont™ Plantex® (www.plantexpro.dupont.com). October 15, 2015 in Products.